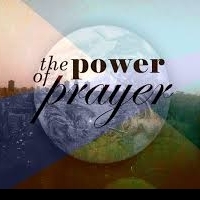 Jeremiah 33:3 "Call to Me and I will answer you, and I will tell you great and mighty things, which you do not know" One of, and arguably the most vital part of a Christian's life is Prayer. His Word says to call to Him and He will answer! You can use the link on this site to submit a prayer request. Our prayer ministry also has a dedicated email address: tab.prayer@gmail.com. All requests will be kept confidential. To join our prayer ministry or for more information, please contact Min. Ron Bragg ar rbragg01@gmail.com.